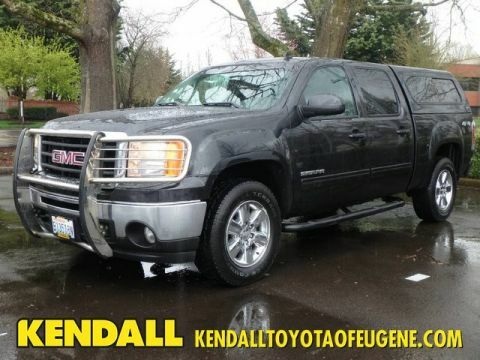 Kendall Budget used car center is pleased to offer this 2011 GMC Sierra 1500 crew cab. Your buying risks are reduced thanks to a CARFAX BuyBack Guarantee. 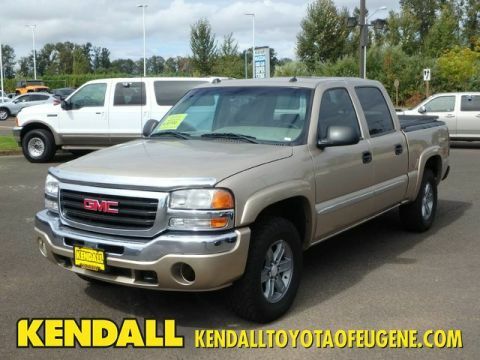 Quality and prestige abound with this GMC Sierra 1500. This 4WD-equipped vehicle handles any condition on- or off-road with the sure footedness of a mountain goat. 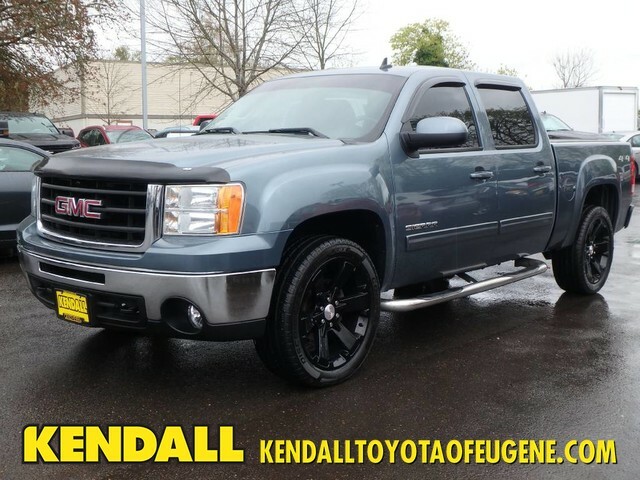 With unequaled traction and stability, you'll drive with confidence in any weather with this Blue Granite Metallic 2011 4WD GMC Sierra 1500 SLT. More information about the 2011 GMC Sierra 1500: Full-size trucks are used in such a wide range of situations--from construction fleets to long-distance driving--and the broad range of interiors and hauling/towing options offered in the GMC Sierra and help satisfy shoppers better than most other competing models. SLE and SLT models are probably the best fit for buyers who need the sturdy, get-messy capability of a pickup at least some of the time, but the Sierra Denali is the choice for those who need a pickup that doesn't compromise luxury. And for those who need a pickup but want to make a greener choice, with even lower operating costs, the Sierra Hybrid makes up to 25% better fuel economy without sacrificing much towing or hauling ability. 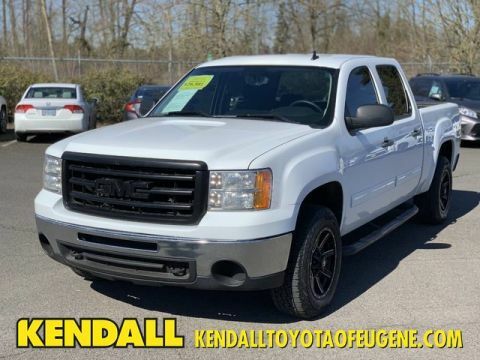 Interesting features of this model are fuel economy, extensive features and options, strong tow ratings, and Top-notch interiors to suit work or luxury use Located next to the foot bridge on Good Pasture Island Road, come see us at Kendall Budget Used Car Center.